bread for cheaters. – ugly food tastes better. 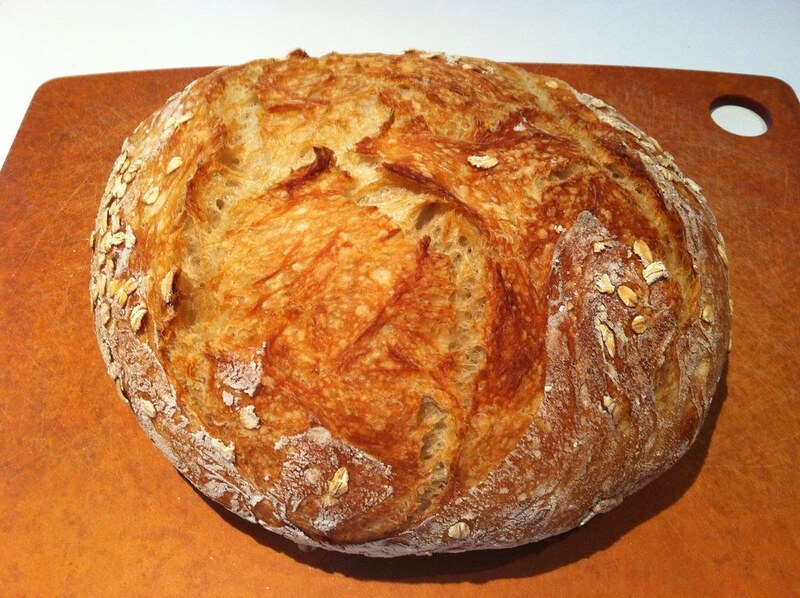 This is the super easy and magical NYTimes no-knead bread recipe. Easy to make and easily customizable. Which you know I did because I cant leave anything alone. 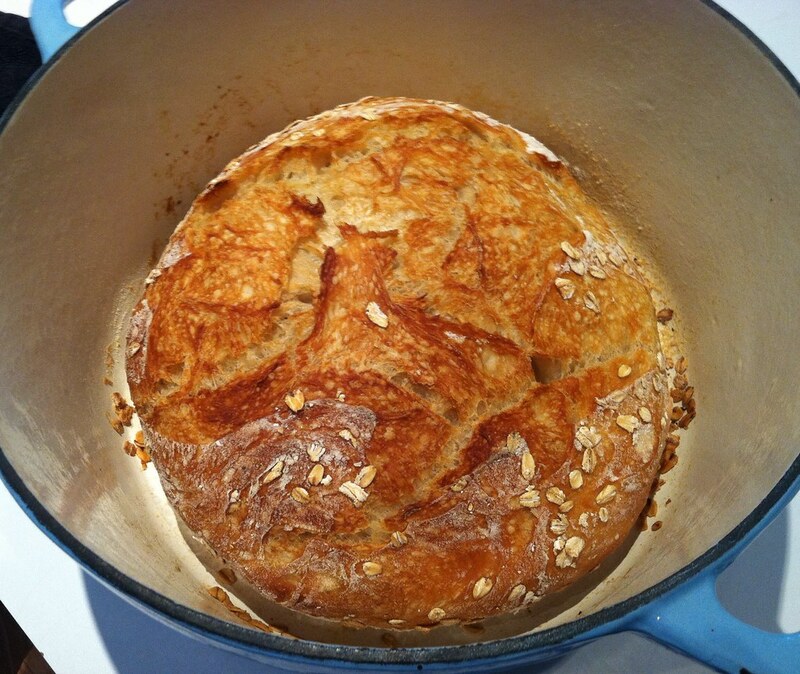 I rarely make bread for several reasons. One, It has to be babied, which requires a certain amount of time at home, and two, it isn’t really nutritious at all. However, I am working from home currently, as is Eliz’s bf, who has evidently been making this every week, and I had some, and then I went home and wanted more. And when he told me how fuss free it was I decided to give it a go. So this is cheating. No kneading. No babysitting. Serves – Everyone! 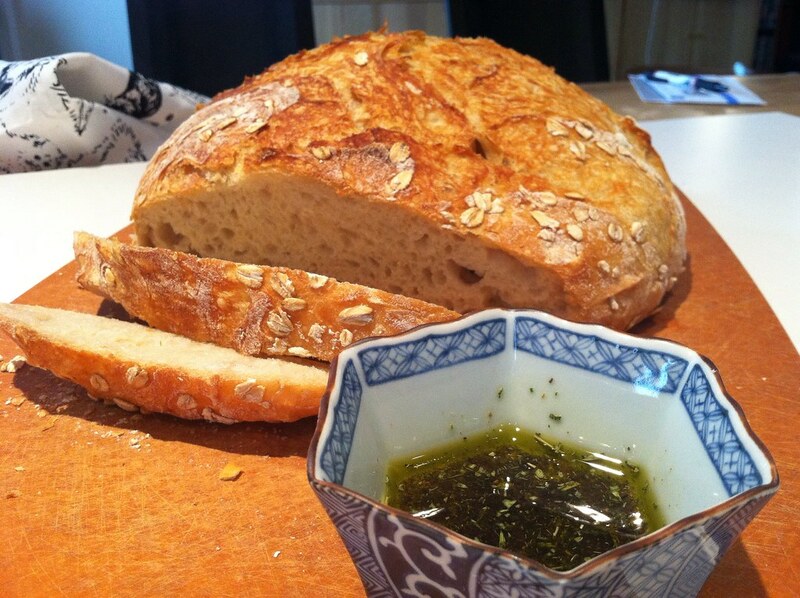 Perfect to bring to a dinner party or brunch. Nutrition – Good for your soul. SweaterMeat’s Take on NYT Bread. Mix your dry ingredients in a bowl and add 1 5/8 cups water, and stir until combined. Cover bowl with plastic wrap and abandon somewhere for 12-18 hours. I put mine in the oven because my house is frigid at night. 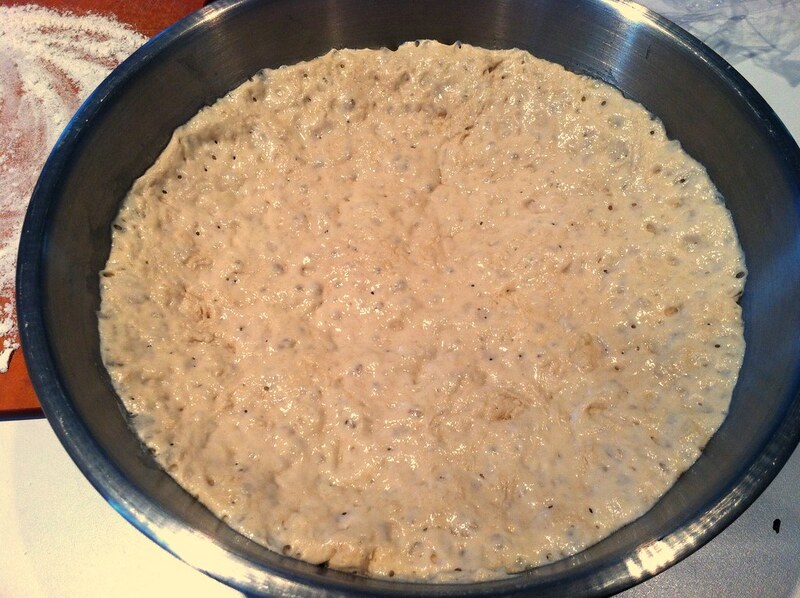 After this time has passed, the dough should look bubbly like when pancakes are ready to flip. Dump the bowl out on to a clean, floured surface, trying not to break too many of the gluten strands, and fold it over itself twice. Put the plastic wrap back over it and leave it for 15 minutes. During this time, wash your bowl, and get out your towels. 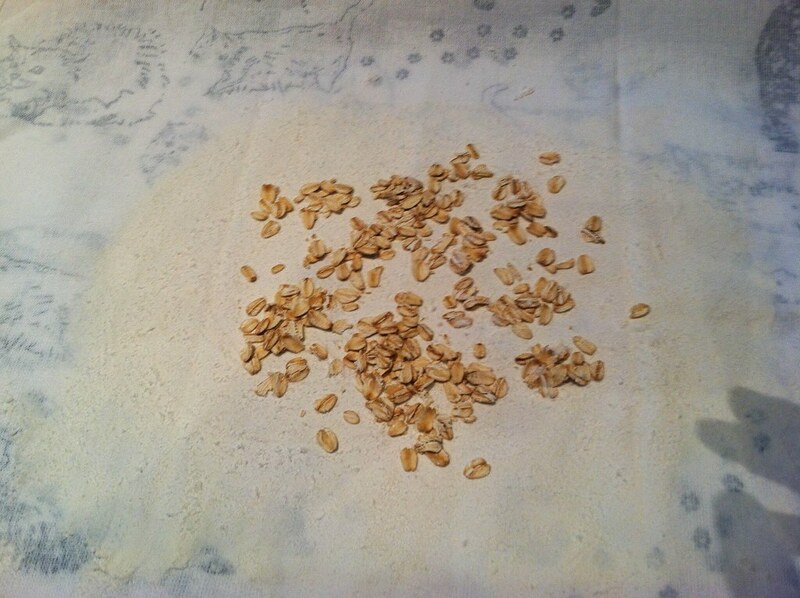 You will want to rub a handful of flour in to the center of each towel to keep the dough from sticking, and then put your palmful of oats on one of them in the center. 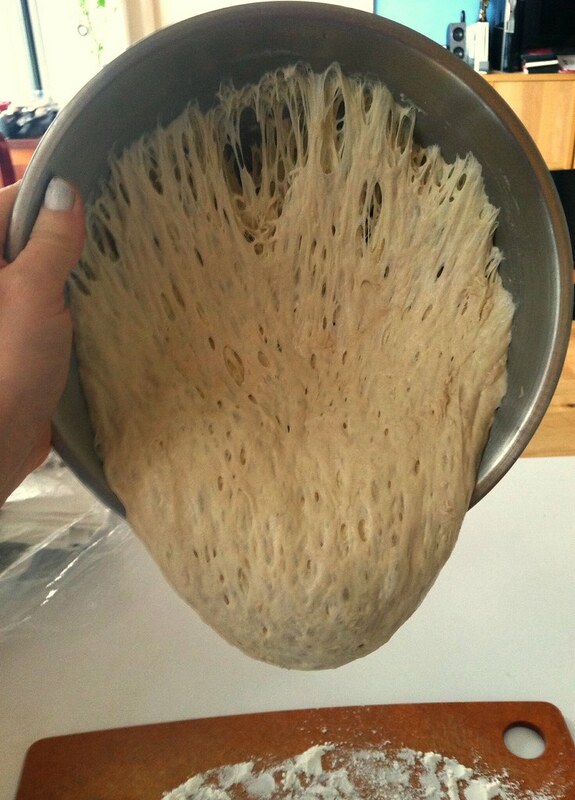 This is the side you will plop your dough onto. 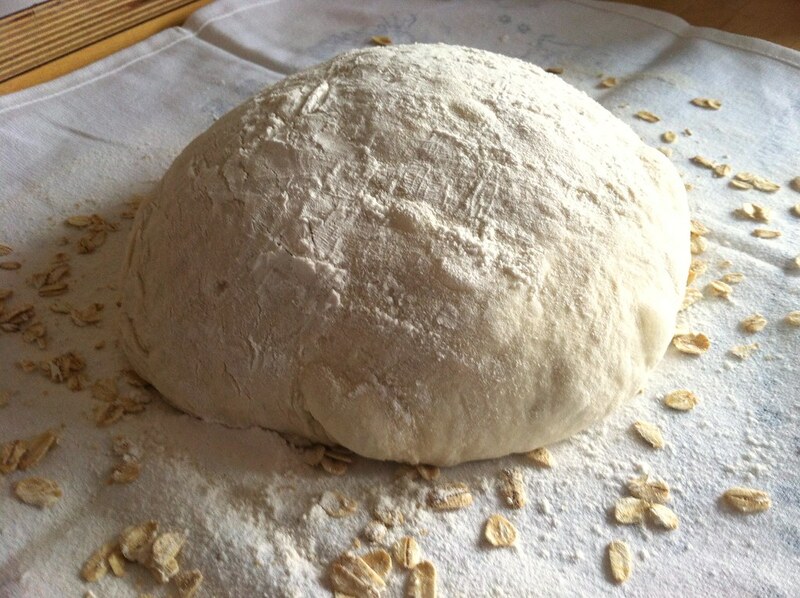 Shape him in to a fat ball, and place seam side down on the oats. Cover with the other towel and let it rise for 2 hours. When an hour and a half has passed, put a dutch oven or cast iron pan in the oven and set to preheat to 450 and let this go for 30 minutes until your dough has risen and is ready! Just flip it in to pot (I spritzed mine with olive oil first out of paranoia) so the seam side is facing upwards and then shake the pot so the dough evens out. Pop it in the oven for 30 minutes with the lid on, then take the lid off and bake another 15-30 minutes, depending on how you like your bread. I like mine to be a little dense and chewy, so I only bake it for another 15 minutes. Then it gets a nice golden brown color. Mmmmm. And your house smells awesome now. Now you can do whatever you want! 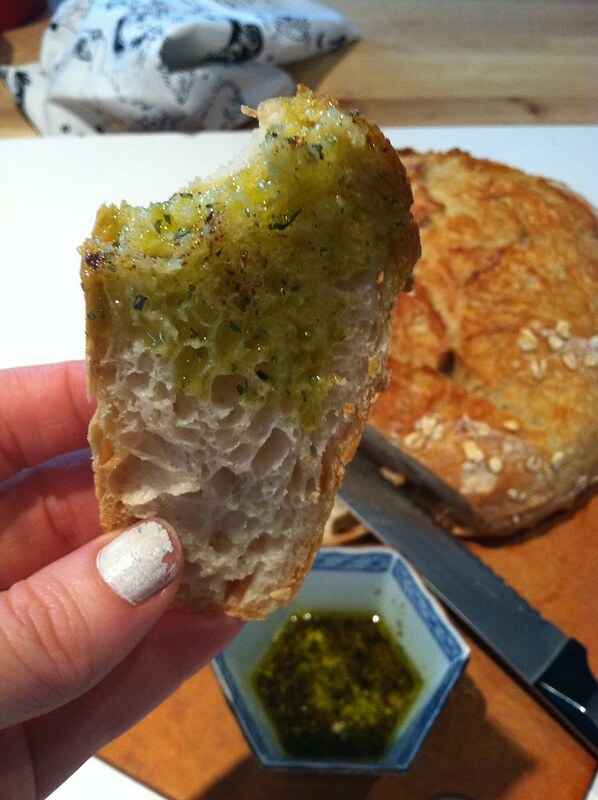 The first thing that I did was make some nice, herby olive oil and dip some warm chunks in. You just can’t beat that. 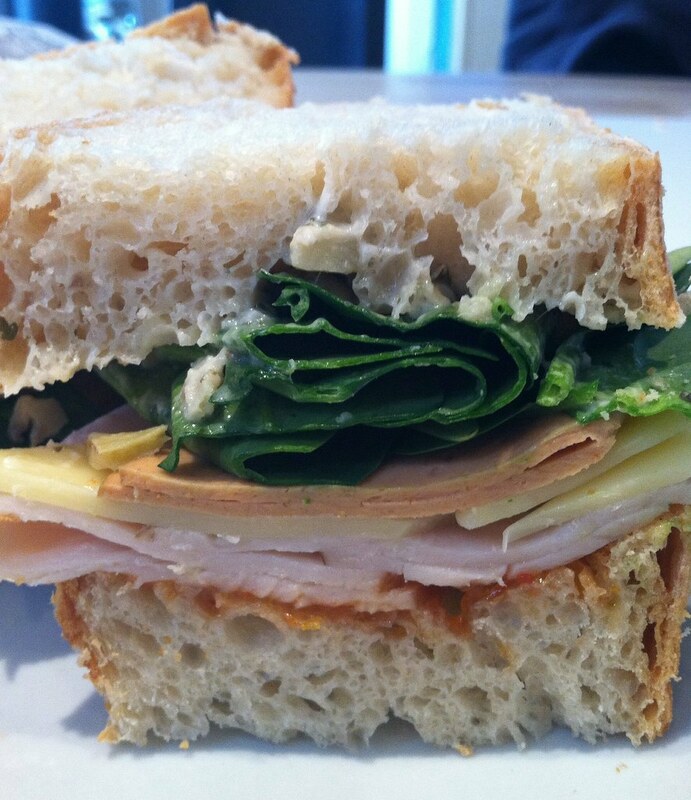 Then the next day I made sandwiches for friends…Smoked turkey, turkey bologna, swiss and baby spinach on top of my homemade tomato jalapeño jam, with an artichoke tapenade top. Mmmmm. Should have toasted the bread before I did this. But I was excited. So yeah. Couldn’t have been easier, so happy with the results, and you should totally go do it right now. Thank you, NYTimes. Great! So easy, right?! LOVE celery salt. Its what makes my egg salad shine! So I could not get this to work. My dough was a very wet mess after 18 hours, no way to shape it or save it.. I had to throw it away. I’m very sad to have wasted my flour and yeast. Any ideas what could have happened?